Have you ever wondered what on Earth is going on in our world? Growing up in southern Ohio, we used to ask that question a lot, especially when we were faced with news headlines that told of the Cold War, the Cuban missile crisis, a presidential assassination, and Vietnam. What on Earth is going on? But much more recently, we’ve ever experienced such things as the Oklahoma City bombings, the New York City bombing of the World Trade Center (the first time), not to mention the 9-11 attacks. What on Earth is going on? Then there were the shootings at Columbine, Jonesboro, Virginia Tech, Sandy Hook, Parkland Elementary, and other school situations, not to mention things like the Pulse nightclub, various and sundry restaurant shootings, mall shootings and the like. What on Earth is going on? Those questions are not new ones. They have been asked by countless others at various times throughout history. To Habakkuk, that solution was, in effect, worse than the original problem. Sending the Babylonians, hated enemies of the people of Judah, to attack Judah and thereby deal with the rebellion there was inconceivable to Habakkuk. The cure was worse than the disease. That led to Habakkuk’s third question, which was “Will the Lord show mercy in His judgment of Judah?” (Chapter 3). Even though God’s methods surprised Habakkuk, he was quite pleased that God was doing something; indeed, God assured him He had everything under control! A few hundred years later, shortly after the Ascension of Christ, Peter and John, two of Jesus’s most devoted followers, were on their way to the Temple in Jerusalem at the appropriate hour of prayer (3 pm). While there, God used them to heal a man who had been lame since the day he was born. That healing incident, reported in Acts 3, led to a challenge by Peter to speak to the people who were there. Generally, these people came to the Temple at the appointed times to go through the rituals which they assumed would somehow make them right with God. Peter challenged them to “Repent, therefore, and turn again, that your sins may be blotted out, that times of refreshing may come from the presence of the Lord, and that he may send to Christ appointed for you.” (Acts 3:19-20). It does not matter whether the issues we are dealing with are personal, relational, vocational, or church-related, we may be facing some horrible times ahead, but our challenge is to repent, return to the Lord, to wait upon the Lord, simply because He is in control! Through all we are facing, whether it be personal challenges or national challenges, as we do so, God promises “times of refreshing”. God calls us to trust him. Habakkuk learned that lesson well. After hearing that God was using an unusual means to judge his people, he could triumphantly proclaim, “Yet I will wait patiently…yet I will rejoice in the Lord. The Sovereign Lord is my strength” (Habakkuk 3:16-19). If it’s good enough for Habakkuk, it’s good enough for me! 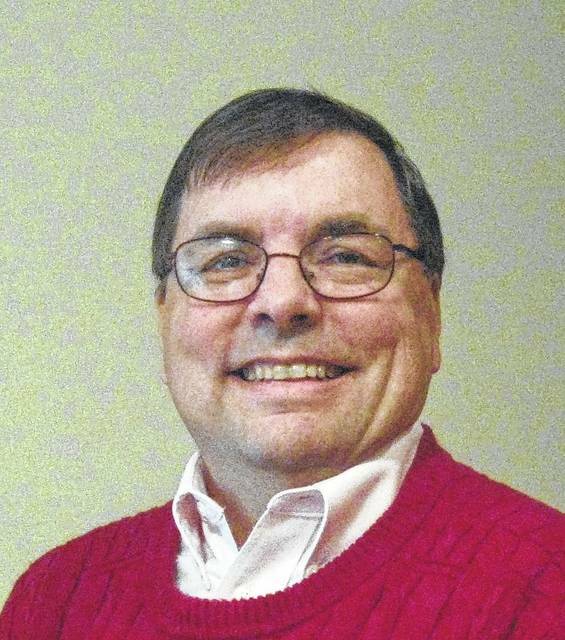 Chuck Tabor is a regular columnist for the News Journal and a former pastor in this area. He may be reached at cdtabor3@gmail.com.